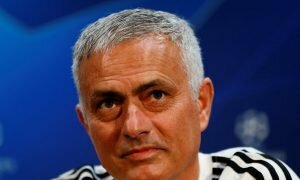 Man United demand European giant pay £20m for international midfielder | The Transfer Tavern | Where football transfer rumours fly or die! Manchester United fans have been a permanent fixture in the Transfer Tavern during the current window, as they are not willing to leave the sofas until a major deal is completed- and it’s taking quite a while for that to happen. One deal that may still go ahead though is an outgoing one but CalcioMercato state Manchester United have raised their asking price for Marouane Fellaini to £20m, with negotiations with AC Milan underway. Fellaini has struggled to impress at Old Trafford since making the move to the club from Everton and is now set to be offloaded, with the Belgian international’s agent holding talks with AC Milan this week regarding a move to the San Siro. Whatever the figure, United will be accepting a loss on a man they paid £27.5m for in 2013 and AC Milan favour a loan deal, whilst the Red Devils want to get the player of their books quickly. 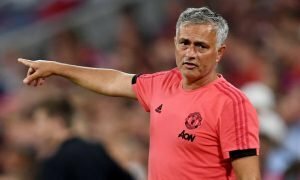 Our landlord believes £20m isn’t too big an ask of Manchester United and believes a deal will go ahead, with the price being broken down into a number of payments. United fans, how desperate are you to offload Fellaini this month? Let us know in the comments below!